Figure 25. Samples of different types of marine sediments. 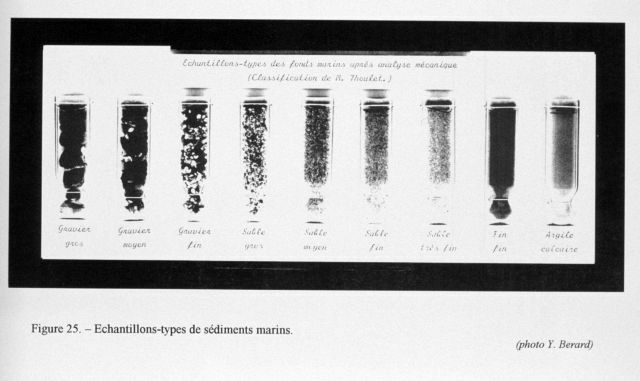 This display was conceived by Professor Julien Thoulet in 1905 to both educate the public but also as guide for sailors who used bottom samples as a guide in piloting.